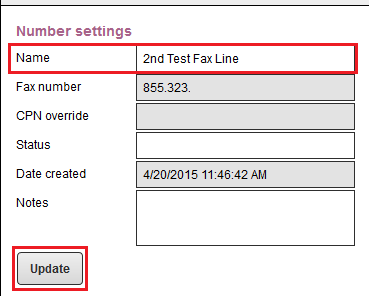 If you need to update or change your fax line name, please follow the steps below. Once you have logged into the Administrator account for your Organization, you will need to go to Settings. 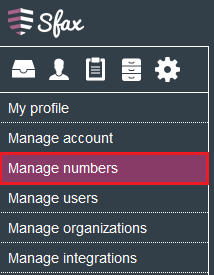 Once in the Settings area you will then need to select Manage numbers. You will see a list of your fax numbers. 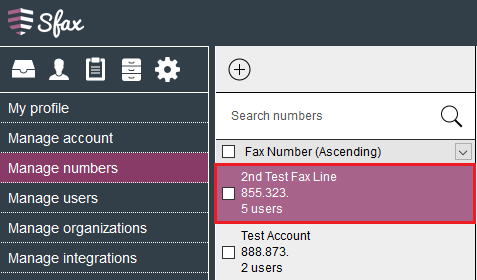 Select and highlight the fax line you would like to rename. In Number settings edit the Name field to your desired name and click Update.